This has to be one of the best collections of Porsche's we have ever seen, this lady has 'em all. It’s pretty crazy how you can navigate in this world and have certain things right under your nose without even knowing it. You could be sitting on top of a goldmine and have absolutely no idea that there are millions of dollars right beneath your feet. This is why you’re constantly getting told to never judge a book by its cover as what’s visible on the outside might not be indicative of what exactly it is that you’re going to find on the inside – and we mean that not only literally but also in a variety of different situations, figuratively, as well. 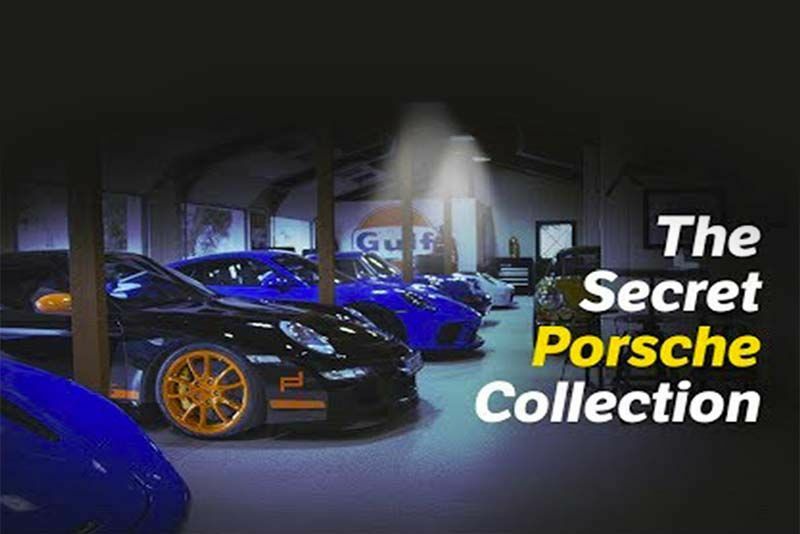 This time, we go along for the ride with Lisa as we’re able to join in on this hidden gem, a supercar collection that is definitely one that is of show quality, rivalling even something that you would see in a Porsche museum that people would probably pay good money to get a glimpse of. However, lo and behold, the variety of cars is simply residing in somebody’s personal garage. This video really gives you a unique opportunity as we can step up into the spotlight and take a look at some of the rare rides all owned by one woman who is enjoying every last second of the cars. Press play below and keep your eyes peeled because every which way you look, there’s another Porsche that is almost too good to be true! It had to take quite some time to put together a collection like that and, after observing the whole thing, you might be just a little bit sick of Porsche, if that’s even possible! They’re just so many that it’s hard to be able to appreciate them all at once. Perhaps you should take two looks at this video to really get the full effect of this amazing collection.